You have to agree that tree standing is an awesome technique to use when you’re out searching for that perfect kill. But, climbing trees on your own can be a wee dangerous, not to mention sometimes even downright impossible without the proper equipment. That’s why we’ll let you know how to pick some useful bow hunting stands, depending on your needs. 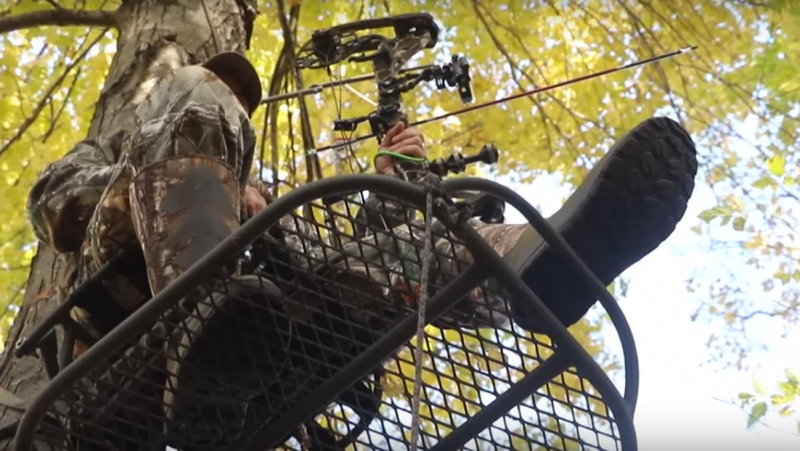 Tree stands make climbing up a tree simple and even makes staying up there more comfortable since you have a flat stepping surface. But, you need something you can bet your life on, a sturdy stand. Getting such is not always easy, but don’t worry because we are about to offer the essential guidelines. In this article, we will let you know which stands we found and really like, seeing as they are produced by trustworthy brands and have a lot of positive tests. There may not be many of them, but the ones we reviewed, are unbeatable on the market. Check the table below for an idea. These ones have a seat and footrest. You attach it to the tree and then use it to crawl up. However, it does not work well with large trees or those with branches all over. It is highly portable since it can be easily carried using backpack straps. Due to this, it allows the hunter to change trees easily as the circumstances may dictate. 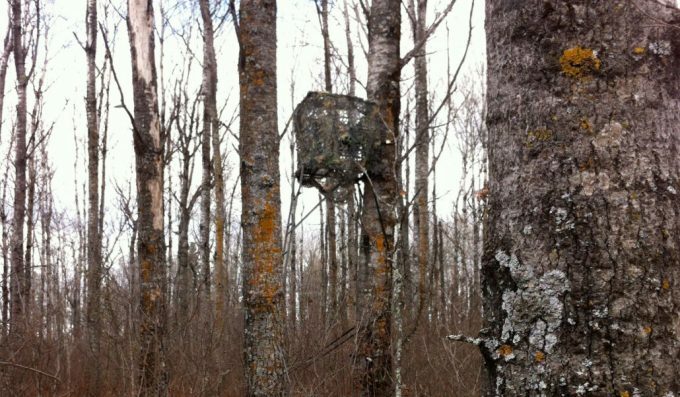 It’s a better option if you hunt in areas where you are required to remove the stands every day. 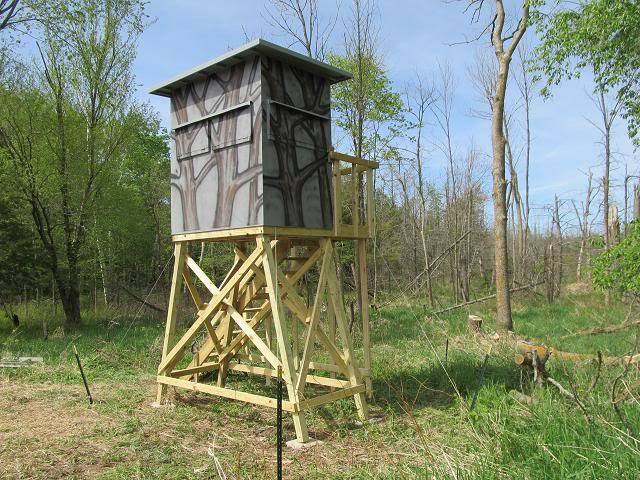 It is a kind of hunting stand that requires prior setup. You have to find the means of getting the stand up the tree and setting it up. However, it is light in weight and you can easily climb a tree with it on your back. It’s also an easy to set up the stand, but its seat and platforms are just basic in design. The main scoring feature is the ability to be put on almost any tree no matter the size or number of branches it has on the trunk. Just as the name suggests, it’s a ladder with a standing point at the top. It is preferred by hunters who hunt in one spot for an entire season. Their height varies with some being 20 feet tall. It has a considerably large sitting area and can accommodate two people. It is ideal for those who are training new hunters. The only downside is the complexity of setting it up. However, this can be compromised by the fact that you only need to set it once and leave it there. This is the real stand since it stands on its own legs. A hunter is conversant with a tripod, and this is a magnified design of that. 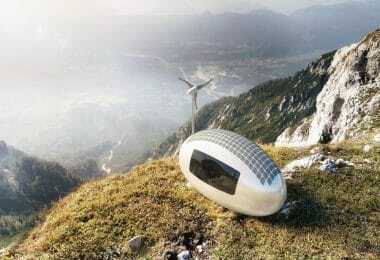 It is convenient for use in areas where there are no trees but you need a good bird view of the plains. It is likely the heaviest of all the stands, but its construction is super. It can even have a door. It provides a 360 degree view. Don’t set it up in a highly conspicuous place where it will be the only center of attraction. If you do so, hardly will you make a killing. Since you’ll be climbing up and down a few trees, safety should be one of your primary concerns, so get something solid. Anything that wraps you on the tree will work fine. Avoid selecting complex items that can be hard to set up and thus increasing the chances of setting it up incorrectly. 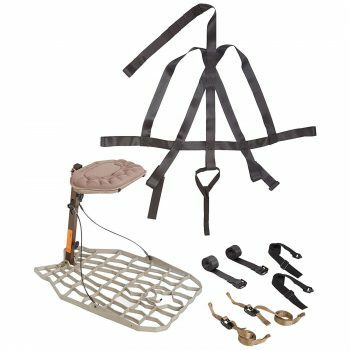 The extras that ensure the safety of your stand are foot support, climbing harness, fall arrest system, buckles, straps, and ropes. Make sure your stand offers you enough protection from the elements, in regards to the wind, mud, and water. Search for fabrics that are water and windproof, and that is strong enough to withstand various on-field damages. 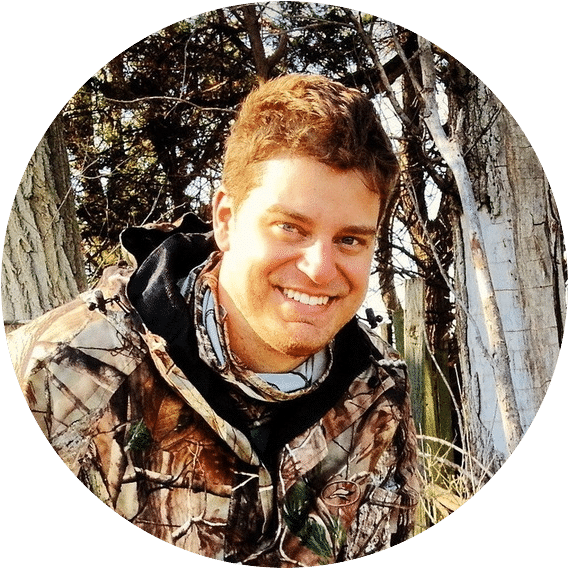 Mastering the elements is definitely the secret of a successful hunt, and, no one wants to put money in a product that will fall apart after the rain, snow, and all the other elements that will hit it during the hunting adventure. So, high-quality, durable materials, are a Must when shopping for a new tree stand. Obviously, weight is an important feature you should definitely keep an eye on. With all the gear you will be taking on your hunting trip, no one wants to haul more weight than necessary, right? So, before clicking that “Order” button, you need to check the overall weight of the gear you plan on taking with you on your next hunting adventure. Then, you need to calculate how much weight the stand will add to your gear, and see if you are capable of carrying all that on your back. A logical choice would be to choose light material stands, but those are not so famous for being durable and can be dangerous if they can’t support you. So, try to find a golden middle between weight and durability, so that you can tree stand without being worried the stand might collapse with you still being on it. Buying any old tree stand is actually the easiest thing. 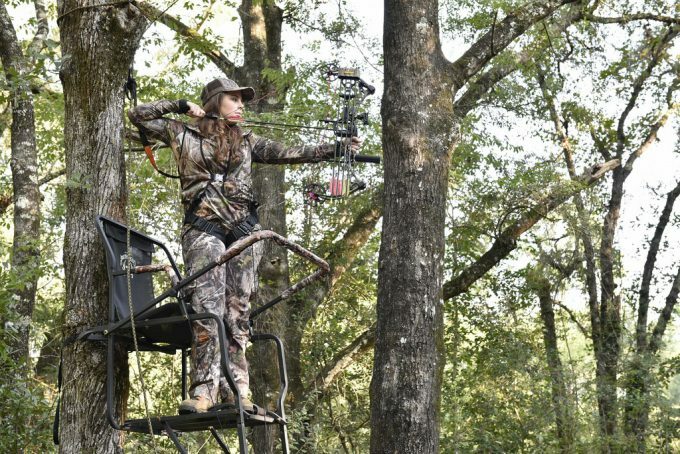 But, choosing a tree stand for bow hunting that will actually support you and last for more than just one hunt, or a season, is a completely different thing. You need to make sure that the material your future bow hunting tree stand is made of, is durable, doesn’t corrode easily, and that it’s lightweight. So, just like with keeping an eye on the weight, you also need to pay attention to which material the stand is made of. Choosing a stainless steel stand would be the best choice as it would last a lifetime, but it is too heavy to haul it on your back, right? Aluminium stand might be the best choice in this case, but just make sure it will support your own weight, plus the weight of all the gear you plan on taking with you. After taking into account the above attributes, it’s no doubt that you have a good idea of what to look for depending on your needs. Let’s see what the market has to offer. 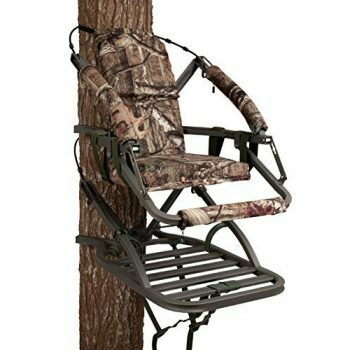 Description: The Summit Viper SD Climbing Treestand is a closed-front model, for increased safety when you climb and hunt from the tree. Its aluminum manufacturing explains its durability and reliability in the field, accounting for a reduced total weight too. 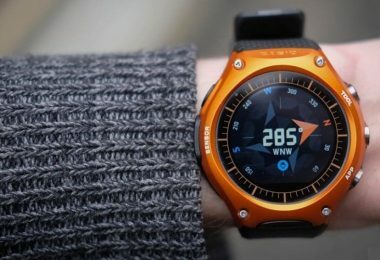 The fact that it only weighs 20 pounds means you can easily carry it on your hunting trip, attached to your backpack perhaps. Apart from portability and high-quality build, the materials used are a noticeable fit too. 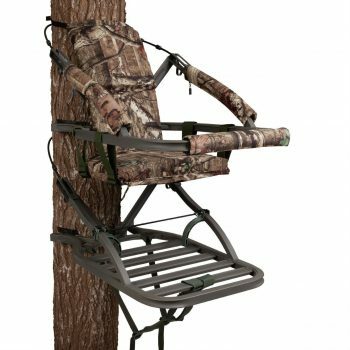 Take the foam padding for the suspended seat: this will give you the ergonomic comfort you seek on a prolonged tree standing hunts. Besides, it has both a backrest and padded armrests so you’re supported at all times. The total weight this seat will support is 300 pounds, so that’s a good news for the most Rubenesque hunters out there. The seat size and platform size are both pretty generous, so you don’t have to be a flimsy stick in order to use this stand. Plus, since the seat can be quickly raised and lowered, you can use this item for gun hunting as well as bow hunting, accounting for increased versatility. 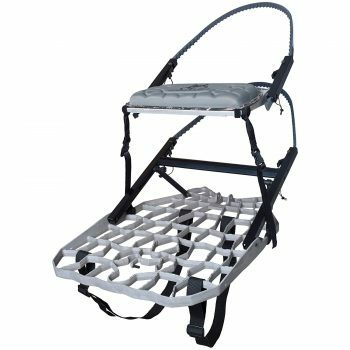 The built-in harness system is another great perk regarding your safety and peace of mind, and the buckles are easily adjustable and quickly released. You can, therefore, use this stand either sitting or standing up, and its solid bar in front will help you climb in and out with ease and secure. Related: If you are looking for a switch from a bow to a crossbow, to go with your new tree stand, we might have the right model for you. There are many brands in the market, but the CenterPoint Snipper 370- Crossbow has some nice unique features that make it a preference for many. It has a compact design and a noise suppressing stop to ensure minimal awareness. 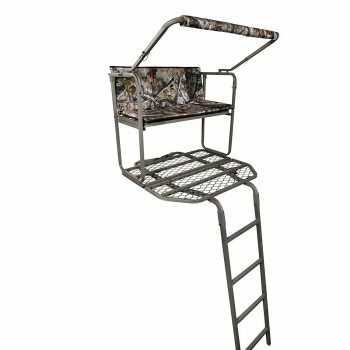 Description: The Summit Razor SD Treestand is an open-front type of stand, that’s built from aluminum both for the frame and the seat. That means you’ll be very safe at all times, and you can climb on this stand with your mind at ease that it will definitely support your weight even after repeated uses. Of course, that’s provided you have a weight below the maximum 300 pounds admitted. Apart from being strong and durable, aluminum is also a moderately weighted material. That’s what explains the total weight of 29 pounds, which is decent enough to render this stand portable. The small dimensions when packed, as well as the fact that it has a foldable climbing bar, account for its portability too. 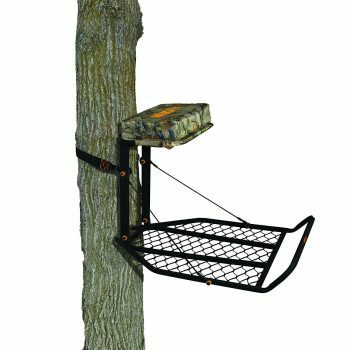 You’ll be able to use this stand on trees that are 8-20 inches wide, hunting comfortably from its foam seat that has a good backrest and padded armrests. The climbing bar has a pivot design, which makes it rather unique when it comes to stands, but it’s also pretty safe. Your safety is further insured since you’ll get a 4 point safety harness, that’s easy to set and adjust. There are other included pieces of equipment too, like a backpack, safety and utility straps, bar and arm pads, a stand umbilical rope and some hardware. Related: We know you can wear warm trousers and jackets, but there are no-many options to cater for your face and head in general. One of the best options is to get a First Lite Tundra Cold Balalclava, its design does not compromise hearing ability since it has ear holes and its versatility makes it among the best in the market. It can fit a majority of the people since it is adjustable and conforms well to the face contours. Its inner insulation is made from merino wool. Description: The Lone Wolf Hand Climber Tree Stand will allow you to freely move from tree to tree, with a fast, easy climb, and lots of possibilities to target your game of choice. Its color pattern mixes a light gray and black, making the seat easy to conceal in the wild. Besides, it’s a good addition to your hunting gear since it’s a compact and easy to carry stand. It has a 5 in profile when packed, and it only weighs 17.2 pounds, which means it passes the portability test. The fact that you can easily carry it on your back thanks to its included backpack straps is another plus in this department. When you unfold the stand, you’ll find the length and width of its platform are 30 x 20 inches, meaning it’s capacious enough for any bowhunter out there. You’ll be able to aim your target and get the perfect shot without fear of losing balance because of the reduced space. The only thing is that you’ll have to place it on trees with diameters between 6 to 19 inches and that your weight shouldn’t exceed 350 pounds. The platform itself is made of aluminum, a rigorous material that doesn’t add to the weight unnecessarily, though it’s quite strong. The seat pad is sturdy too, not to mention ergonomic, thanks to its contoured foam pad construction, and with this brand, comfort is a priority, so you’ll get a bow holder too, which is amazing if you’re using a parallel limb sort of bow. Related: No amount of preparedness will make a hunting mission successful without having proper arrows. The Barnett Outdoors Carbon Crossbow Arrows are designed for longevity. They are made from carbon and have a limited 5 year warranty on them. These arrows offer maximum accuracy and penetration. 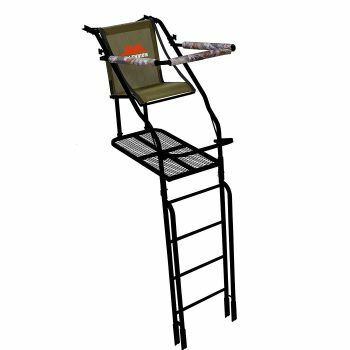 Description: The Summit Dual Pro Ladder Tree Stand is on the heavy side on stands you can use, but it has a nice advantage: two people can use it at once. That’s a real perk considering that often you don’t go hunting by yourself, and having a stand you can use with your partner means saving a lot of money as well as saving space when you gear up. But, even though this product was intended to use by two people, it doesn’t mean it takes two to set it up. In fact, it has a simple installation, so you don’t lose time unnecessarily on the field. After you set it up, you’ll find the platform is very roomy so both you and your hunting partner can shoot at the same time. The only caveat is that the maximum weight limit is 350 pounds for both of you. Since this is a ladder type of stand, you can easily get in and out of it. The entrance likewise ascertains its easy access. This is a front-door sort of entrance, which can be opened and closed thanks to a double zipper mechanism. And, unlike other sorts of similar stands, these zippers are large and easy to use, so you don’t have to struggle with them. An ergonomic design explains the overall high degree of comfort provided by this stand with quality materials. The stand is enclosed in wraparound blind, and its 150-denier fabric is durable. This fabric has a coating made of polyurethane, which accounts for its water repelling properties. Besides, both the seat and the backrest are padded, and you get a removable gun rest too, so you can feel at ease when you’re not actually shooting anything. Related: Arrow broadheads are also critical determinants of how well your arrow will travel. The heavier the broadhead, the more it will penetrate but that may compromise on distance. The Swhacker 2 inch Cut Broadheads strikes between the two factors excellently. 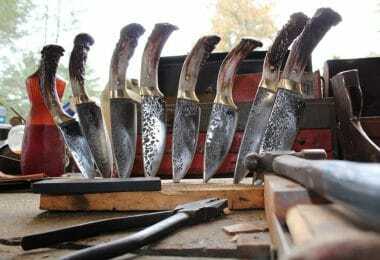 They are made from hardened steel and have razor sharp blades. Description: The Millennium L110 Single Ladder Stand is another of the biggest ones on the market, considering its total weight reaches 92 pounds. That can be explained by the fact that it’s manufactured from steel. Albeit a strong, resistant material that’s almost impossible to damage through common hunting accidents or extended use, steel weighs a lot too. So this stand doesn’t pass our portability test. But, it does pass our quality test because steel is not the only good material used for its construction and because its craftsmanship is stellar. The finish is coated with a durable powder, and the ladder is double-railed. That means it’s rigid enough, and it doesn’t need a brace. The platform is double-sized, and you can even adjust the stand’s height according to your needs. Moreover, since it has a capacious platform size with a roomy seat, you can make sure you’ll be accommodated safely and comfortably. That’s if you respect the maximum capacity of 300 pounds. But safety is top of mind with this brand, and that can be noticed from its included extras. One is its safety line for you, and the other is the adjustable tree brace so the stabilizing strap can be securely tied to the tree. That will help you avoid any accidents or mishaps. But comfort is important too, which is why the user-friendly features like the Comfort Tech Seats, the adjustable shooting rails, and the foldable footrests really take the cake. The seat itself can be raised up or used for sitting, so you can use this stand either for shooting a gun or a bow. Related: Having a crossbow is a great investment and you ought to take good care of it. Some maintenance practices are minimal and might require just the use of lubricating wax. Considering the bow has a variety of moving parts, the Barnett Crossbow Lubes Wax is a good investment for efficient operation of your bow. It reduces friction and increases the velocity, and you can apply it on the barrel as well as the rails and any other convenient place on your bow. Description: The Muddy Boss XL Fixed is the perfect gear to have when you’re hunting in muddy condition. That’s because it has a specific construction that’s able to withstand moisture and scratches. In fact, its hydrophobic build means it dries quickly and it won’t get damaged by moisture. Apart from this, you can make sure you’ll be protected at all times thanks to its reinforced toe design. The great traction provided by this product can easily be explained through its felt sole, especially in wadding conditions. The EVA midsole has been designed to decrease the total weight of this product, reducing shocks. Plus your ankles will receive a maximum support as well courtesy of the padded collar and tongue. Comfort, security, and durability are therefore the prime concerns of this brand, which can be likewise noticed thanks to the sturdy, thick seat pad, the D-ring gravel attachment, and the mesh drainage ports. The platform itself is quite reliable, and you can easily assemble it even without putting too much emphasis on the instructions. After you’ve set it up, you can easily place it in a tree and lock it there securely with a ratchet strap. In fact, it’s better to have such a ratchet strap of your own, because these don’t come included in the final price. And, the included straps might not be enough by themselves. Another issue with this stand is the fact that this isn’t a very silent model, as it makes creaking sounds. But, if you use the plastic washers properly, you won’t have any problems with that either. Related: The recent working strategies when it comes to deer hunting, which is considered to be one of the trickiest ones, are taking a cover on a stand and luring the deer to you. One of the best options to use is the Tingley’s Deer Attractant Hunting Spray, this is a whitetail estrous pure urine. It brings the buck right on your stand and can be used several times. Description: The Lone Wolf Alpha II Tree Stand is a fixed model that has a low overall weight and reduced dimensions, making it extremely portable. It is roomy enough to accommodate any Bowhunter out there. The one condition is that you don’t exceed the upper limit of 350 pounds. Another great perk is that it doesn’t make any creaking sounds when you install and use it, even after prolonged uses. It’s easy to set up and to employ to your advantage, thus ensuring your hunting success in any season. Furthermore, it has an important user-friendly feature, and that is the fact that both the seat and the platform can be self-leveled. Speaking of which, the platform is manufactured from cast aluminum, a reliable, strong, yet light material, and has a distinct 3-D camo pattern. The seat pad is quite comfortable too, since it’s large and its padded with contoured foam. Your comfort is improved by the bow holder, on which you can place your parallel limb bow if you’re using one. And if you own an E-Z Hang Hook, you can use it confidingly, to preset various stand positions and hang the stand quick on any tree you want. That’s if the tree in question has a diameter between 4 and 22 inches. And when you’re done hunting, simply use the included backpack straps to carry this stand on your back comfortably. Related: Deciding on your hunting spot depends on various factors and one of the most significant is the probability of the targeted animal coming around. The Miluo Tech Dual Focus Monocular will enhance your sight and make you see the animal before it sees you. 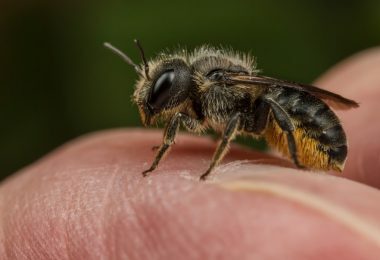 It has a 16x magnification with a wide field of view, and the 52 mm objective lens has a multi-coated design, which further gives it nice brightness capabilities. The scope is designed for hunting and surveillance, thus it is highly rugged and waterproof. 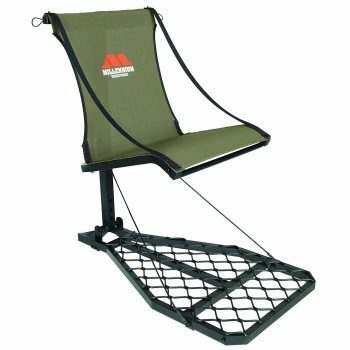 Description: The Millennium Treestands M100U Tree Stand is definitely one of the lightest on the market and it’s the stand with the lowest weight of the products we’ve discussed so far. And, since it also has the advantage of folding flat, you can easily fit it in your backpack. This is a great item for hunters who are looking only for highly portable equipment. The compact design of this stand can also be noticed from the fact that your seat will fold upwards, so you can use it both standing or sitting. Furthermore, this feature means you can use it with different weapons too, either a bow or a gun, which renders this stand quite versatile. 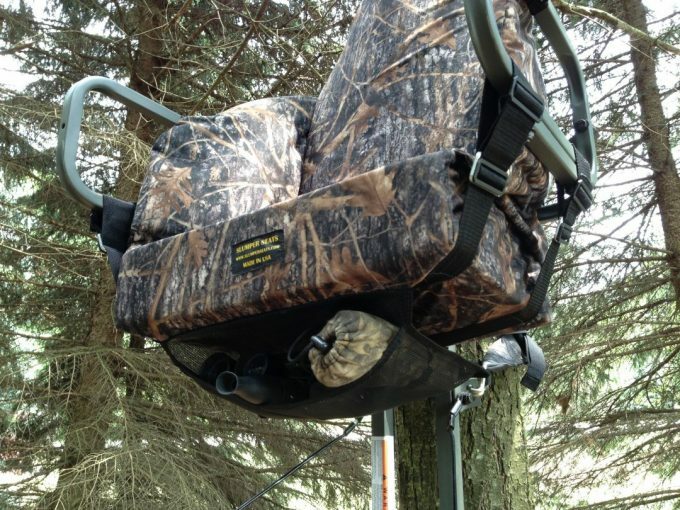 Its increased comfort is easily explained by the patented technology developed by Millenium Treestands, which is the comfortMAX seat. This is a contoured, tight sling sort of seat, which has an ergonomic feel and prevents back pain when you’re hunting all day long. The materials used are resistant and strong. The platform is made entirely out of aluminum, and its finish is coated with a durable powder. That’s why this light stand can support more than 25 times its own weight, seeing as the maximum capacity is 300 pounds. Related: One of the things you cannot afford to miss as a hunter is the hunting knife. Get yourself the Kershaw Serrated Hunting Knife that has a stainless blade and a glass filled nylon handles. The knife is highly portable considering it is foldable and weighs approximately 2 ounces. We have reached the end of our article. As you can see from our above selection, it’s important to choose durable and versatile items. So even if we’ve mainly discussed stands that accommodate bow hunters, some of these items can be used when you’re shooting with a gun too. Besides, sometimes you’ll have to sacrifice versatility and portability for comfort and safety, but it’s never wise to choose a flimsy product which has the sole advantage of costing less. For example, the Lone Wolf tree stand is highly portable, but definitely not the most comfortable one. That being said, let us know more about yourself. Why do you love tree standing? What are you shooting with? What sort of stand have you got your eyes on? Have you used a stand before? We’ve done enough talking, so the floor is yours, and the comments section is right below so don’t be shy.